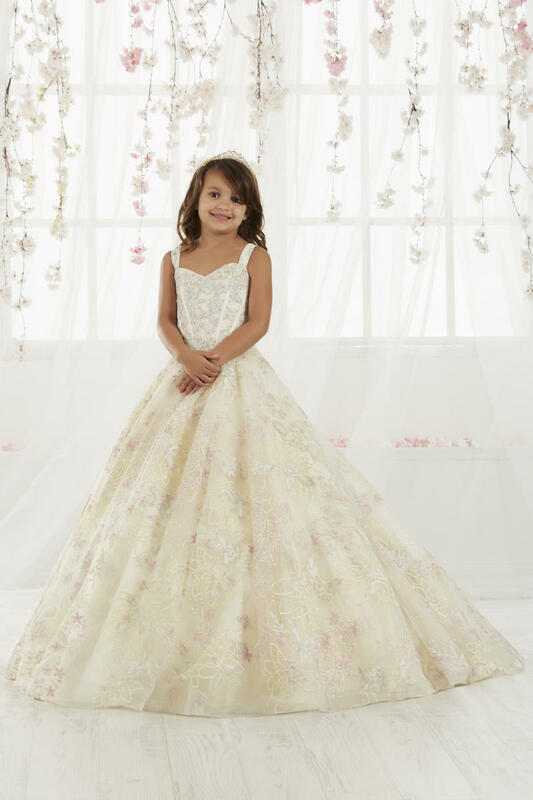 This magnificent gown features a sweetheart neckline with straps. Multi embroidery lace with Rhinestone bodice, and gathered ball gown skirt with lace and Tulle. Lace up back.